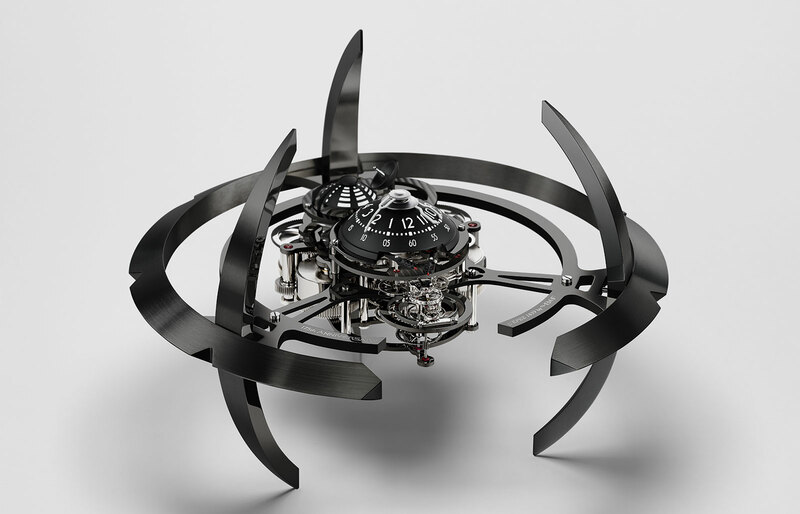 Created by clockmaker L'Epee 1839, the MB&F Starfleet Machine is landing in stores right now. Inspired by Deep Space Nine and featuring a 40-day power reserve, the Starfleet Machine is a limited edition of 175 pieces, for a reasonably accessible price. 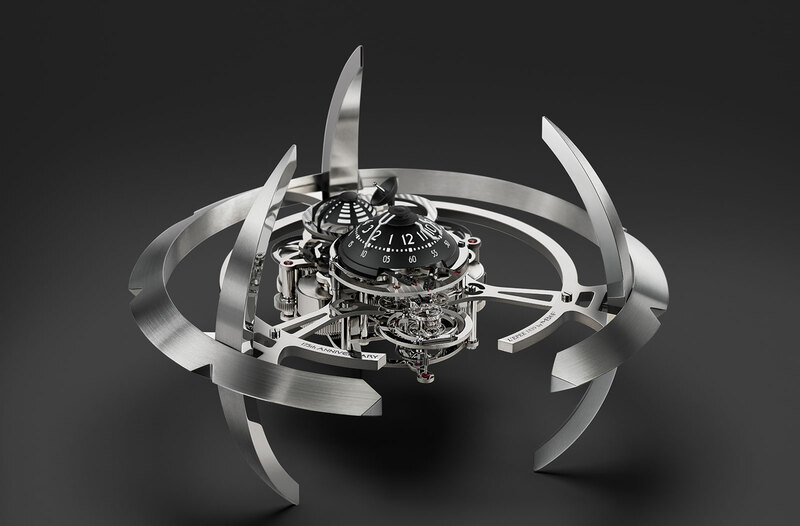 Baselworld 2014 saw MB&F unveil one of its most striking timekeepers yet, the Starfleet Machine clock. 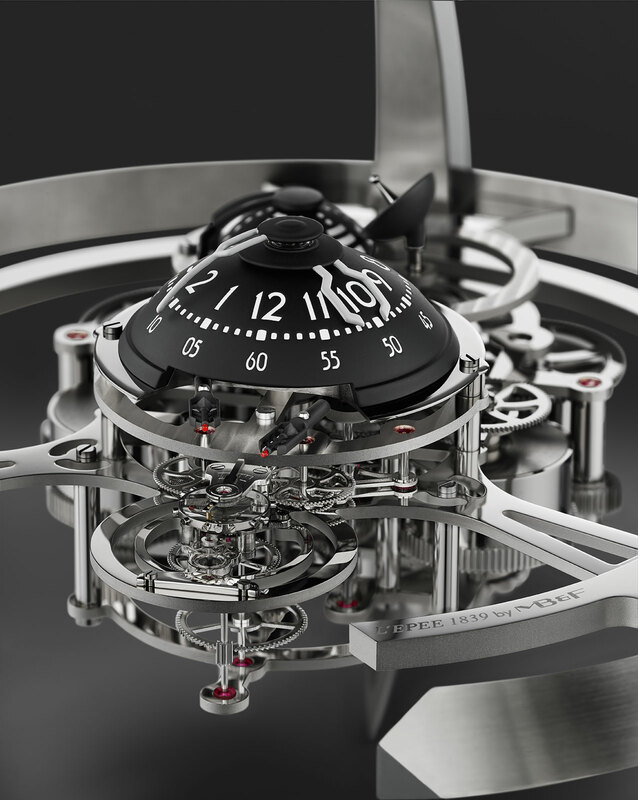 Inspired by sci-fi like the rest of MB&F’s creations, the Starfleet Machine is a 40-day power reserve table clock made by high-end clockmaker L’Epee 1839. Standing 21 cm high and 29 cm wide, the Starfleet Machine is a miniaturised, desktop version of the starship from Star Trek: Deep Space Nine, which also provided inspiration for Vianney Halter’s Deep Space Tourbillon of 2013. The entire clock is made by L’Epee 1839, a clockmaker that began in France but is now based in the Swiss Jura mountains. Wound with a key, the Starfleet Machine has five barrels giving it a 40-day power reserve. Time is indicated by rotating hands on the central dome, while the seconds are shown on a pair of 20-second retrograde hands shaped like cannons. There is also a power reserve indicator just beside the satellite dish. Two versions are available, the “light” model in steel, and the “dark” version in ruthenium coated steel. Each clock will be delivered with a clear glass dome for protection from the elements (and people). Only 175 will be made and the retail price is 28,000 Swiss francs before taxes, equivalent to US$30,900. That is not a small sum of money, but as such things go this is reasonably priced. 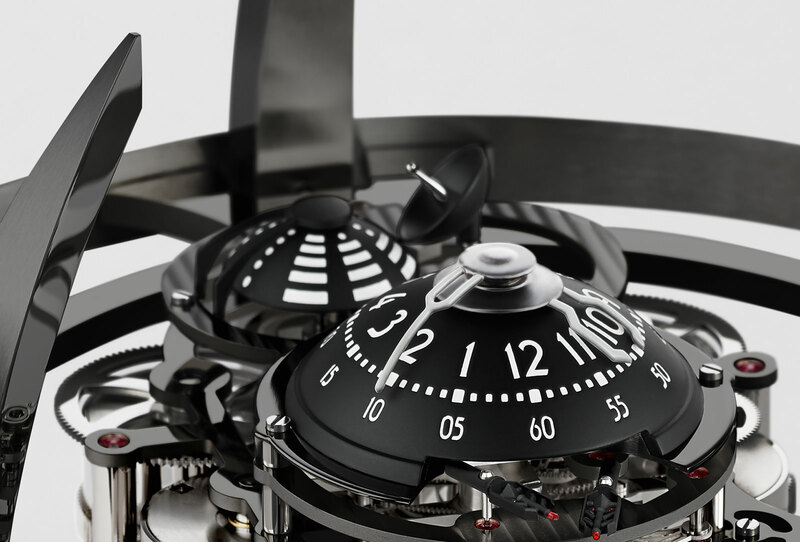 The clocks are available from MB&F retailers.